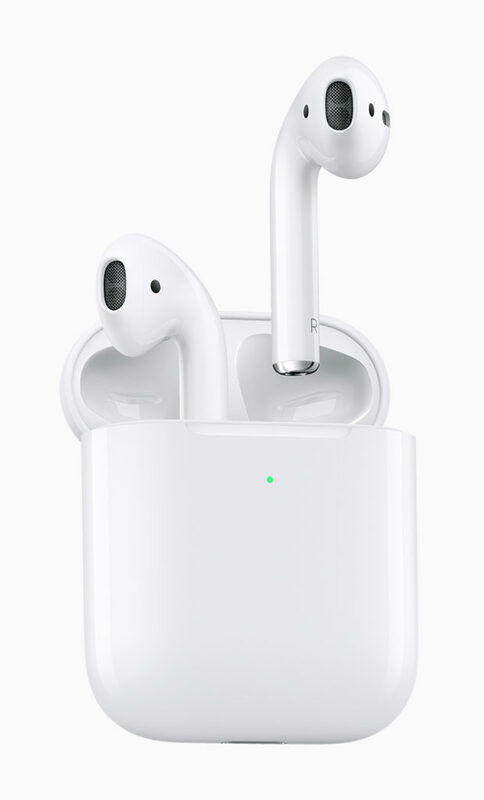 Cupertino, California — Apple today 03/20/19 announced new AirPods, the second generation of the world’s most popular wireless headphones. AirPods revolutionized the wireless audio experience with a breakthrough design and the new AirPods build on the magical experience customers love. The new Apple-designed H1 chip, developed specifically for headphones, delivers performance efficiencies, faster connect times, more talk time and the convenience of hands-free “Hey Siri.” AirPods come with either a standard charging case or a new Wireless Charging Case for convenient charging at home and on the go. The new AirPods and AirPods with Wireless Charging Case are available to order on apple.com and the Apple Store app starting today, and in Apple Stores beginning next week.